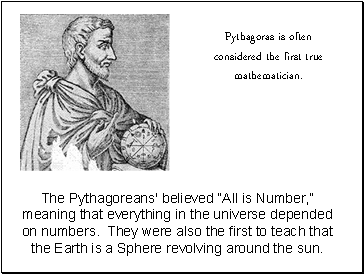 The Pythagoreans' believed “All is Number,” meaning that everything in the universe depended on numbers. 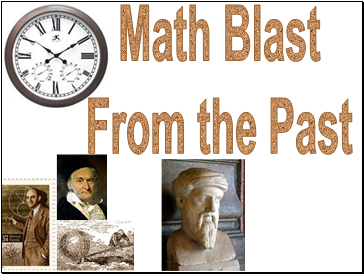 They were also the first to teach that the Earth is a Sphere revolving around the sun. 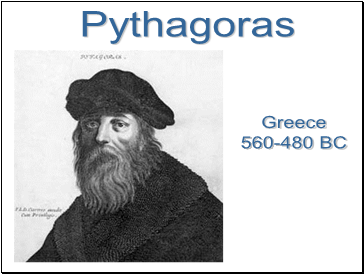 Pythagoras is often considered the first true mathematician. 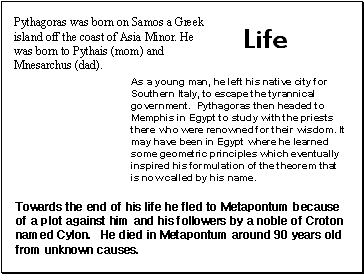 Pythagoras was born on Samos a Greek island off the coast of Asia Minor. He was born to Pythais (mom) and Mnesarchus (dad). As a young man, he left his native city for Southern Italy, to escape the tyrannical government. 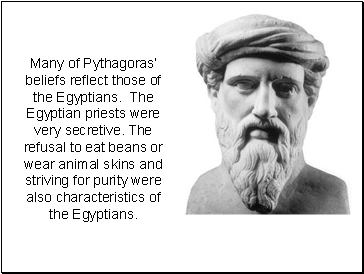 Pythagoras then headed to Memphis in Egypt to study with the priests there who were renowned for their wisdom. 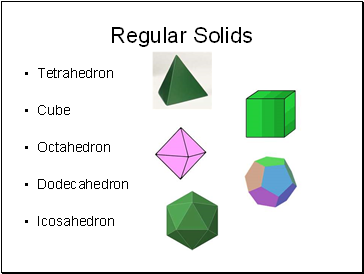 It may have been in Egypt where he learned some geometric principles which eventually inspired his formulation of the theorem that is now called by his name. Towards the end of his life he fled to Metapontum because of a plot against him and his followers by a noble of Croton named Cylon. He died in Metapontum around 90 years old from unknown causes. 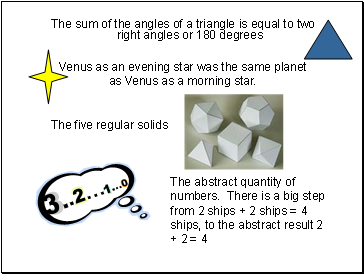 Many of Pythagoras’ beliefs reflect those of the Egyptians. The Egyptian priests were very secretive. The refusal to eat beans or wear animal skins and striving for purity were also characteristics of the Egyptians. 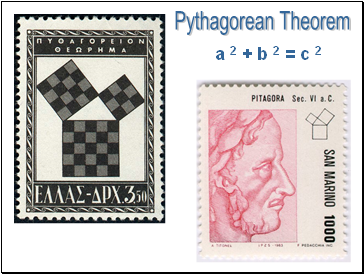 Proof of Pythagorean theorem by rearrangement of 4 identical right triangles. 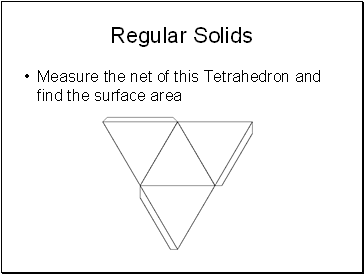 Since the total area and the areas of the triangles are all constant, the total black area is constant. 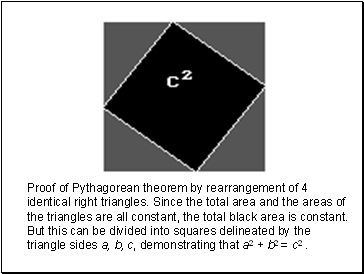 But this can be divided into squares delineated by the triangle sides a, b, c, demonstrating that a2 + b2 = c2 . Venus as an evening star was the same planet as Venus as a morning star.